I found myself making this when we had a snow day and I didn't want to/physically couldn't run out to the store. All of the ingredients were things I always keep on hand anyways, so it was easy to toss it into a slow cooker for dinner. Plus it didn't matter if I used frozen chicken, which I always have, so that was a huge selling point. 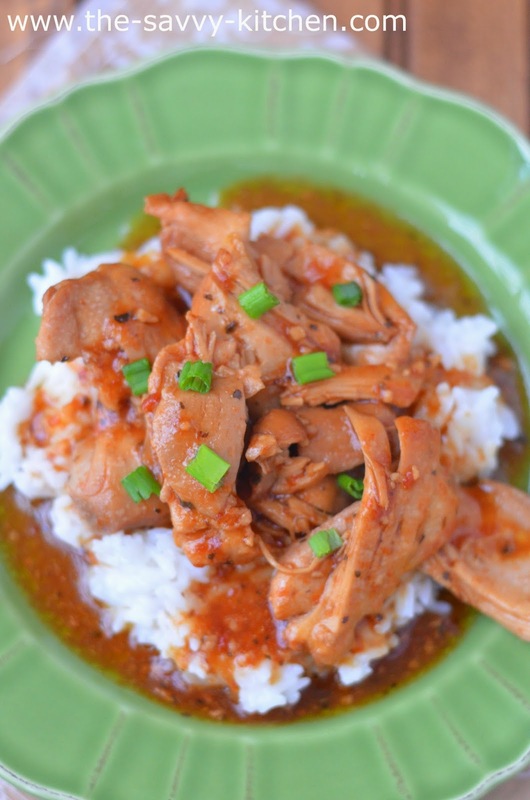 There's nothing like an easy and delicious slow cooker meal when it's freezing out! This meal is done in 3 1/2 hours (you can also cook it on LOW if you're heading to work and prefer it to cook low and slow while you're out of the house), which is pretty impressive. The chicken becomes nice and tender and pulls apart easily. The weird combination of ingredients (ketchup, honey, soy sauce, basil--what?!) 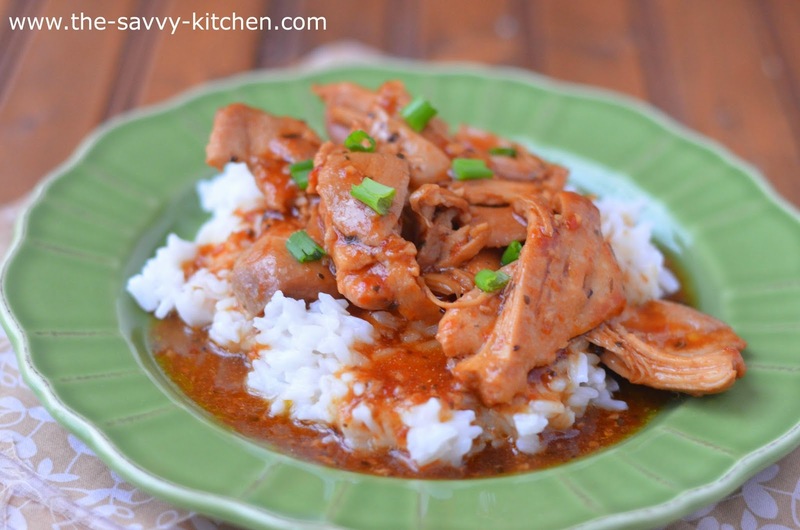 goes surprisingly well together and makes a delicious sauce to serve over rice. 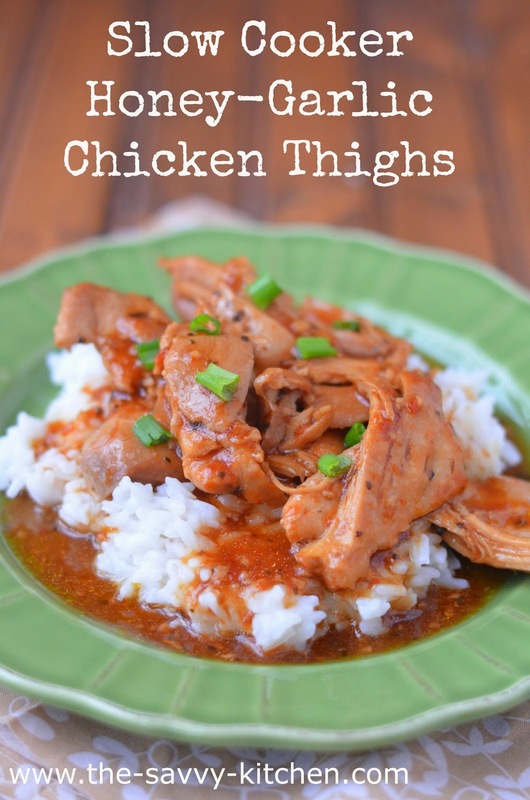 We liked this so much that I made it a week later using chicken breasts instead of thighs, and it turned out just as good. Enjoy! Whisk soy sauce, ketchup, honey, garlic and basil together in a bowl; pour over the chicken. After 3.5 hours, shred chicken. Remove 1/4 cup of sauce from the crockpot and place in a bowl. Whisk the cornstarch into the sauce in the bowl until combined. Add cornstarch mixture back into the crockpot and stir to combine. Continue cooking for 20 minutes. There's nothing more satisfying than making a meal out of what you have on hand. This chicken looks amazing!